It doesn’t matter how often we say it – we really feel as if it can’t be emphasized enough. Smiling is good for you and for everyone around you too! It’s true: your smile makes the world a better place! That’s why general and preventive dentistry is so important. Keeping smiles healthy, strong, and bright from the appearance of that adorable first tooth all the way through those well-deserved senior years is one of our primary missions here at Summit Smiles. We love that entire families trust us with their smiles, relying on our team for everything from regular checkups and cleanings to periodontal therapy and protective mouthguards. And, of course, we are always available to help you through a dental emergency. The love doesn’t go just one way here at Summit Dental. We certainly love our smile family, but what really thrills us is seeing how much all of our patients love us back! They love how convenient it is to bring the whole family to the same comfortable and spa-like dental office. They appreciate that we know how to keep kids comfortable, but never treat adults like children. They enjoy the fact that all of our care is focused on both health and beauty – for all ages and stages. And they can’t get enough of the wonderful feeling of knowing that their smiles are cared for by a team dedicated to excellence in dentistry for their entire community. Isn’t this the kind of general and preventive dentistry your family deserves? We think so! Come to see us and let all the love and care, jump-start your smiles and keep them going strong for life! The first comprehensive exam is the most extensive and can take as long as two hours. While that might seem like a long visit, it is one of the most important measures we take with new patients and ensures that we have the best and most accurate baseline against which to measure all your future exams. Plus, patients young and old love how informational and interesting learning about your mouth can be! 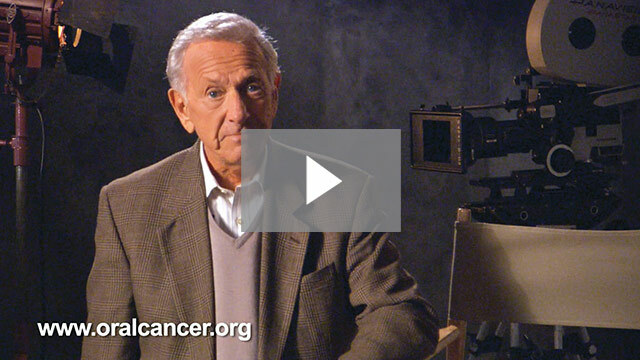 Oral cancer may not be constantly in the spotlight the way other cancers tend to be, but that doesn’t mean it shouldn’t be. Oral cancer is one of the fastest-growing cancers, with death rates higher even than cervical cancer or Hodgkin’s lymphoma, claiming over 13,500 people per year in the U.S. alone. One of the reasons is that oral cancer is so rarely discovered and diagnosed in its early stages when it is still treatable. This is why Summit Smiles is so adamant about keeping up with your regular exams and oral cancer screenings. We not only conduct a visual and hands-on check for spots, redness, swelling, bleeding, or pain, we also use the innovative VELscope technology for the ultimate in cancer screening. This comfortably small handheld device lets us see the very first signs of oral cancer more clearly than ever by emitting a safe, blue light that causes even the most minute abnormalities to glow, showing the contrast between normal tissue and unhealthy tissue that can’t be seen by the naked eye. It simply isn’t worth the risk to skip these exams! What’s more, digital x-rays are easy to refer to for comparison from visit to visit because they are stored right on the computers we keep in every treatment room. Plus, the clear pictures we get with these terrific x-rays allow us to better show you what is going on under the surface of your smile. When we combine these x-ray images with our intra-oral camera, everyone in your family can get a true understanding of the health of their smiles and what is required to keep those smiles in top shape. We love technology here at Summit Smiles. Not only does it make our jobs easier, it allows us to be more efficient in our patient care as well as being more effective at early detection of problems such as cavities. Do you realize how exciting it is to find a cavity so early in its formation that it doesn’t need to be filled? That’s why we have invested in the DIAGNOdent. The DIAGNOdent is a laser that uses wave technology to discover decaying or weakened tooth enamel before it can be seen on an x-ray. The DIAGNOdent can even discover the tiniest fissures or cracks that could be allowing bacteria to enter and compromise your tooth. In fact, this laser is so effective it can find 50 percent of the decay that goes undetected by x-rays! That means less exposure to radiation, fewer invasive procedures, and more precious enamel saved. Your budget will thank you! Intraoral cameras are another one of our favorite technologies – and it isn’t just the Summit Smiles’ team that loves it. Our patients of all ages love checking out the images of the insides of their mouths our intraoral cameras allow them to see. These cameras are small and comfortable in even a child’s mouth and take highly-magnified, color photos and videos of the surfaces of your teeth – even way in the back where you never get to see. All the images can be viewed immediately on our in-room computers and saved for your records. Combining the intra-oral cameras with the DIAGNOdent and digital x-rays afford us with a tremendous opportunity, not only to really know what is happening in your mouth above and below the enamel but also to educate you and let you be as familiar with what your smile needs as we are. Mmmmm! That fresh, clean feeling of a just-completed hygiene visit. You just can’t stop smiling at yourself in the rear-view mirror or running your tongue over your just-polished teeth, can you? And when you get your regular dental cleanings done at Summit Dental, the enjoyment doesn’t just start after your cleaning – most of our patients enjoy the cleanings themselves, relaxing with a paraffin hand dip, a cup of coffee, and a neck pillow. Yep, kind of like a visit to the spa! But cleanings aren’t just a feel-good experience. They are vital to keeping your mouth and body healthy too. You see, regular cleanings remove bacteria-laden plaque and tartar buildup (the stuff that won’t budge no matter how well you brush your teeth at home) from your teeth and your gum line, protecting you from gum disease, an infection that gets in your bloodstream. And that’s important because gum disease can lead to systemic inflammation, cardiovascular issues, and even certain cancers. Don’t risk it: schedule your relaxing and rejuvenating dental hygiene visit today! Gum disease is a major problem in the US today. According to the American Academy of Periodontology, more than half of all Americans 30 or older suffer from periodontitis. That means that approximately 64.7 million people are dealing with this disease and its aftereffects. Are you? If you haven’t had a checkup with your dentist in the last six months you very well could be. Periodontal disease can sneak up on you with very few symptoms until the problem is full blown and the infection has entered your bloodstream. 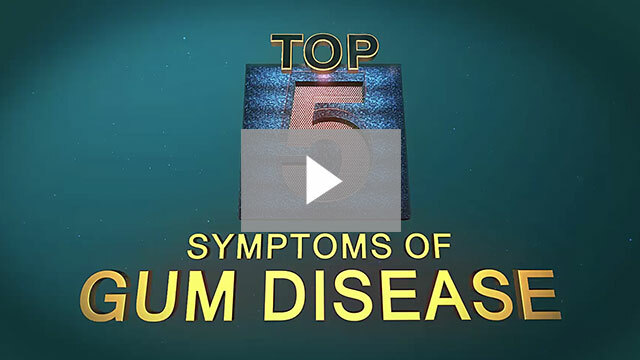 Once the bacteria associated with gum disease enters your bloodstream it can lead to all kinds of problems from tooth and bone loss to rheumatoid arthritis, heart attacks, strokes, worsening diabetes, and certain types of cancers. At Summit Smiles we take gum disease very seriously. We use a long-term, minimally invasive, non-surgical gum disease treatment called PerioProtect®. Using PerioProtect allows us to apply the medicine to the diseased portion of the tooth with sealed mouth trays, without any surgery and with minimal discomfort! 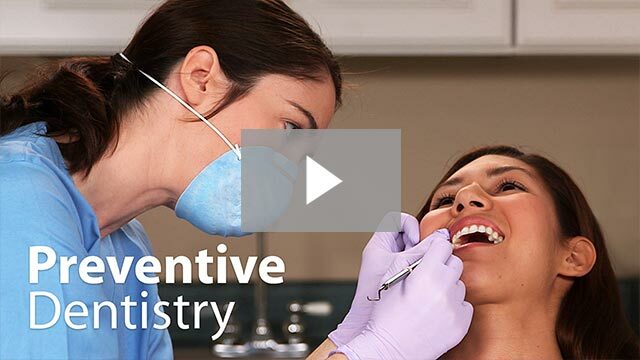 At Summit Smiles, we’ve listened to our patients and discovered a product to meet their needs. If you notice any swelling or redness in your gum tissue or any bleeding when you brush or floss, please come to see us right away. Periodontal therapy from Summit Smiles can clear away infection and stop gum disease in its tracks. Protecting your teeth doesn’t just mean brushing after every meal, flossing twice a day, keeping up with your regular checkups and cleanings, and getting fluoride treatments. Tooth protection can also come in more tangible forms – mouthguards! 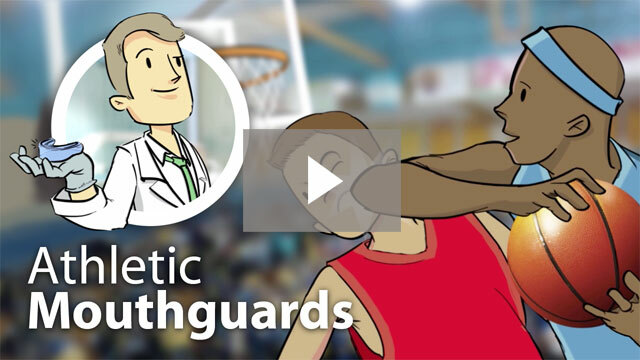 Summit smiles offer both sports guards for adults and children and nightguards. Our sports mouthguards are so much more comfortable than over-the-counter, boil-and-bite guards. That’s important because comfortable mouthguards are much more likely to be kept in where they can do their job than uncomfortable ones. Plus, our custom-made and fitted mouthguards are also much more effective at protecting your children’s precious teeth than those that aren’t custom made, and have even been shown to reduce the risk of concussions! Nightguards offer protection for times when you may not even know your teeth are in danger. Some people clench and grind their teeth at night and this can lead to worn-down enamel, cracks, chips, and even abscesses. If we notice signs of wear and tear on your teeth caused by bruxism, we can custom create a comfortable nightguard to protect and save your teeth – and your budget! Emergencies happen. And while no one likes having any kind of emergency, dental emergencies, especially with our kids, can be particularly distressing. That’s why the team at Summit Smiles is always available to take your call and walk you through your next steps in an emergency, during and after hours. 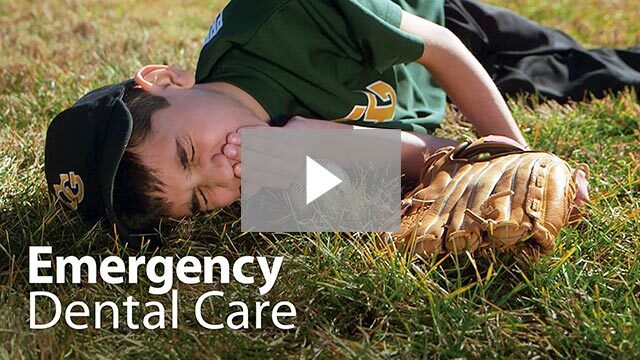 If your dental emergency involves trauma to the head or mouth, please call us on your way to the emergency room. It is important to get checked out there first in case there is a concussion. If a tooth is knocked out, try to preserve the tooth by gently cleaning it with cool water (no scrubbing, please!) and saving it in a glass of milk or under your tongue. We may be able to reinsert the tooth in certain circumstances. If your emergency involves a toothache or damage to a restoration, we will try to get you in the same day. But no matter what your dental mishap involves, you can count on us to help you stay calm, understand what to do, and get you feeling better fast. Modern life can be hard on our teeth: from the constant bombardment of sugar, carbs, and acids in our foods and drinks to the clenching and grinding that can occur during times of stress. It means your enamel is under constant attack, and that can lead to cavities and decay. No one wants that! The good news is that frequent treatments with Fluoride, a naturally occurring element, can help strengthen and protect your teeth against daily wear and tear. Not only that, Fluoride stops the progress of newly-formed cavities and greatly reduces the progression of root caries. How does it work? Fluoride helps prevent tooth decay by remineralizing your enamel, making teeth more resistant to acid attacks from plaque bacteria and sugars in the mouth. And if you thought fluoride treatments were only for kids, think again. Though we do recommend that kids have a fluoride treatment at every visit, we also recommend fluoride to protect adult teeth, especially those prone to cavities or sensitivity. That’s right – fluoride reduces sensitivity too. Why would you ever miss a fluoride treatment?